Yesterday Obama announced his plan for buying so-called “toxic” assets from banks. The stock market responded positively. Why? The taxpayers are footing the bill for the bailout (taking all the risk), while investors can get all the rewards. Investors get a chance to profit, while most of the potential losses will be socialized — paid by you. Tell your politicians to say no to this! 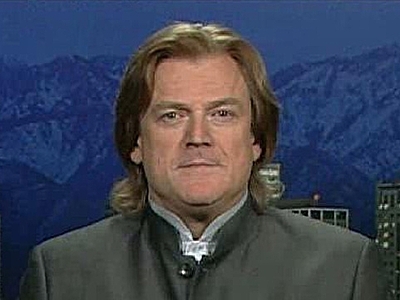 The issue of Naked Short Selling stocks (NSS) is getting some airtime, thanks to the likes of loony Overstock.com (NASDAQ:OSTK) CEO Patrick Byrne. He’s a crusader for NSS, claiming over and over that the practice almost destroyed his company. The sad truth is that NSS didn’t really do anything to Overstock.com. Byrne and his incompetent staff ruined the company all on their own, without any help from short sellers. Are We Really Getting Tough on Financial Fraud? Consumer outrage about “bailout madness” and the proliferation of Ponzi schemes and investment fraud is fueling a push for greater oversight and regulation. The government is talking tough, saying that there will be more prosecutions for financial fraud forthcoming..
That sounds good, doesn’t it? Of course we’re all in favor for more aggressively pursuing those who swindle others out of their savings or cheat the system. But while more prosecutions make good headlines, how realistic is this goal? Our laws have not kept up with technology. Social media like Twitter (with users posting “tweets” for others to read) and Facebook are having a big impact on life, and the impact on the legal system is yet to be determined. The one thing I’ve observed related to the legal system and social media is that lawyers usually overreact about these things. Does a Down Economy Cause an Increase in Fraud? Two weeks ago the Association of Certified Fraud Examiners sent out a survey to members, attempting to determine whether a bad economy makes fraud rise. I’ve written about this topic before, and the truth is that there is no way for us to know. Every time we turn around, a politician is looking for new ways to tax us and worse ways to spend that money. Somehow, Milwaukee politicians seem to think they’re entitled to take as much money from us as they want. (But then they cry when businesses don’t open in Milwaukee, providing jobs for the residents…) There are constant cries that the government just doesn’t have enough money to do what it NEEDS to do. That argument is slapped down time and again with proof like this… the fact that the public school system spends over $14,000 per child and they still can’t read. But the economics of the bus system are such that it’s in danger of going under. So instead of finding new ways to be more efficient, spend less money, and still offer the bus system to those who need it…. Mayor Tom Barrett instead has found new ways to waste tens of millions of dollars in a way which doesn’t enhance the city or the bus system. For 17 years, politicians have been arguing about a “streetcar” system in downtown Milwaukee. What this would be is an add-on to the bus system which virtually no one would use, would cost a lot of money, and would duplicate services already provided by the bus system. Worse yet, it would be a “fixed” system. You can’t move it or use the assets anywhere else because the system is literally built into the street. The best indicator of whether such a system will be successful is the trolley car system that has run in downtown during the summers. Its biggest success is running empty trolleys around downtown. Why does that happen? They’re not needed or wanted in the heart of downtown. Just as this streetcar system is not needed or wanted. The pork in the latest bailout bill includes handing $91.5 million to Milwaukee. 60%, or $54.9 million goes to the streetcar system and the rest goes to the bus system. Mayor Tom Barrett is claiming that the system will “spur development” in downtown Milwaukee. And anyone who lives or works there knows we don’t need development “spurred” there. It already has plenty of development, and it’s easy to get around down without this waste of money. You should also know this streetcar system can’t run in the winter. So it will be useless 4 to 6 months out of each year. So there you have it. An inflexible system that is useless for a big chunk of the year, can’t be moved anywhere because it’s built into the street, is incredibly expensive to build at about $25 million per mile, isn’t wanted by the people, and won’t be used. What a way to spend our taxpayer dollars. As an entrepreneur, you’ll run into sticky situations at work, whether it’s grumbling employees or distractions, that get in the way of productivity. Dealing with weirdness in the office is never easy, but it’s essential to running a successful company. “Human resources problems that get ignored have a really nasty habit of not going away,” says Margaret Hart Edwards, a shareholder at employment law firm Littler Mendelson. Never fear: The experts are here to offer their advice for handling 10 sticky HR situations that might otherwise leave you floored and fumbling. Reasons 1 through 9 are found at Entrepreneur.com. Unfortunately, every employer will have employees who secretly take from the company. 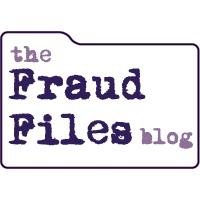 In fact, hidden employee fraud filches 7 percent of a company’s revenue every year, according to the Association of Certified Fraud Examiners. “The dollars lost to fraud can grow quickly,” says Tracy Coenen, a forensic accountant and the author of Essentials of Corporate Fraud. Employee pilfering increases in tough times, when an employee might take home a roll of paper towels or buy unnecessary office supplies just to get a free $20 coffee card. Coenen suggests writing a clear fraud policy that educates employees about what’s unacceptable. 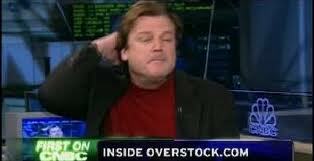 I’ve written plenty here about perpetual money-loser Overstock.com (NASDAQ:OSTK) and its wacky CEO Patrick Byrne. Unfortunately, I’ve mostly lost interest in the topic. Why? It’s the same old, same old.